JAPANESE bike maker Suzuki has officially unleashed the latest version of the legendary Hayabusa onto Australian roads, with the brand new 2017 incarnation of the iconic sports bike featuring two new colour schemes and improved speed and performance. 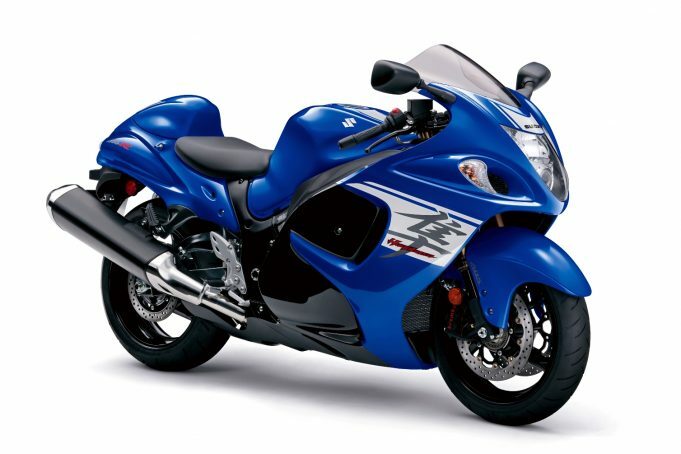 Shocking the motorcycling world upon its inception in 1999 and named after the Japanese bird of prey capable of speeds in excess of 300 km/h (just like the bike), the latest Suzuki Hayabusa is sure to turn heads with its sensational power, speed, smooth ride and overwhelming presence. The Hayabusa is equipped with top shelf radial mount Brembo monobloc front brake calipers, promising tactile feedback to the rider and increased initial bite to tame the Hayabusa’s incredible power. The standard equipment Antilock Brake System (ABS) unit features a lightweight, compact design. The ABS enhances brake performance by helping prevent, to a certain extent, wheel locking due to changes in road conditions or excessive braking, by matching stopping power to available traction. This iconic hyper-sports bike also features the advanced Suzuki Drive Mode Selector (S-DMS) giving the rider a choice of three available engine maps to suit rider preferences and riding conditions. There are improvements everywhere, with tweaks across the in-line 4 engine (with forged pistons and dual throttle valve throttle bodies) improving responsiveness and performance. The 2017 Suzuki Hayabusa is available now in Glass Sparkle Black and Pearl Blue / Glass Sparkle Black colour schemes and retains the same recommended retail price as last year’s model at $20,790 Ride Away. For further information, contact your Suzuki dealer. IT'S pure electric. The Audi e-tron prototype SUV is the German car maker's first foray into fully electrified vehicles, and offers a comfortable, spacious interior, with a long range designed to make it suitable for everyday use. A NEW 321kW Ferrari built twin turbo V6 engine is at the top of a long list of enhancements for the 2018 edition of Maserati's flagship, the Quattroporte, which hits the Australian market from today.